Shop! Find lots of great deals on many types of items! Participate! Clean out your closets and storage rooms and bring your items to the Community Yard Sale at the Yazoo County Fairgrounds! 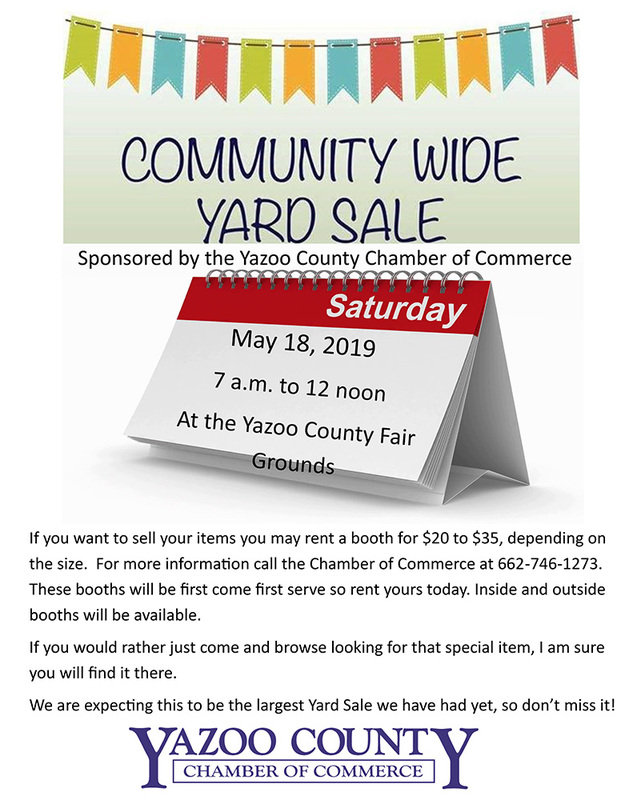 Rent your space for $20 (benefits the Yazoo County Chamber of Commerce) before September 4, 2018. You keep your profits!